If it's Wednesday, it must be One Buck Wednesday over at Snap Click Supply! This is the new sister website to Jessica Sprague where all the beautiful products are for sale. Have you checked it out yet? 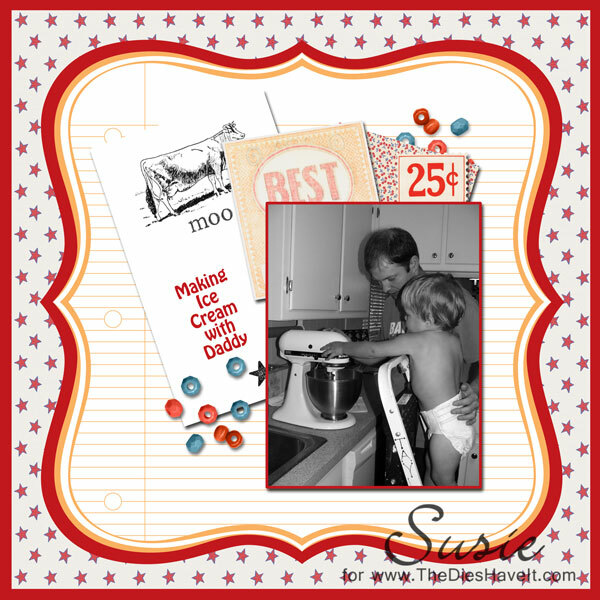 To make this layout of our little grandson, Caleb, I used the Jenni Bowlin Farmer's Wife kit. And today it's on sale today for 50% off. I find the sweet little prints in this set just irresistible!